LOOK: There are 969 ways to enjoy chicken fingers on National Chicken Fingers Day! With chicken fingers, you just have to bite into the tender and meaty goodness of deliciously flavored chicken fingers without having to worry about the bones and you can enjoy every part of what you paid for with nothing going to waste. While chicken fingers are already great to enjoy as it is, we’ve discovered an even better way to experience this dish. Buffalo’s Wings n’ Things offers 17 different sauces that add a savory treat to your favorite chicken fingers. They’ve got a wide variety of sauces that anyone and everyone will enjoy! There are a few sweet flavors for those who want to take their meal like a walk in the park–such as the classic Honey BBQ (one of their best-sellers), and the Korean chicken-inspired K-Pop flavor. For those who really want a zesty and savory experience with every bite, we’d recommend the Chipotle Lime with its just right saltiness balanced with the citrus flavor of freshly-squeezed lime. There’s also the indulgent and flavorful all-time best seller, Garlic Parmesan that can be enjoyed by all. Another must-try is the classic New York’s Finest, which is basically the slightly spicy authentic Buffalo Wings flavor that we all know and love. But if you’re one who’s up for adventures, Buffalo’s Wings n’ Things also offers a couple of hot and spicy flavors that will definitely get you heated up. Three of their spicy flavors actually require you to sign a waiver. 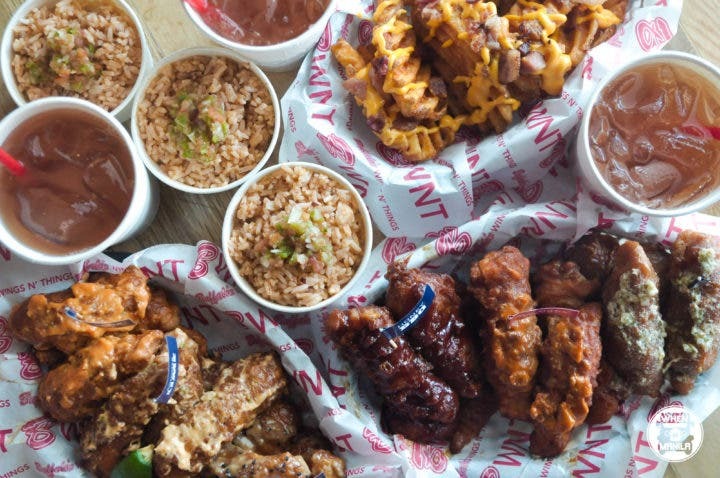 The Ultimate Wingsanity is the spiciest of their flavors at 1,000,000 Scoville Heat Units, and completing the Ultimate Wingsanity Challenge earns you a place on their Wall of Fame. These are just a few of the 17 must-try chicken finger sauces at Buffalo’s Wings n’ Things. Each flavor offers a different kind of food experience. Fortunately, you can enjoy any flavor you want the way you want it at a very affordable price. There are also special deals on the menu such as The Triple Sampler, which gets you a dozen chicken fingers with 3 different sauces of your choice. The best part? It’s only at PHP 338! With the 17 different sauces and the freedom to choose up to 3 sauces with your triple sampler order, you can enjoy 969 different combinations of flavorful chicken fingers! At such a great value, it’s not such a bad idea if the Triple Sampler becomes your daily lunch meal or after-work snack. You can choose to indulge on the whole dozen on your own but it is best to enjoy it with two of your friends with 3 orders of their signature NY Dirty Rice. 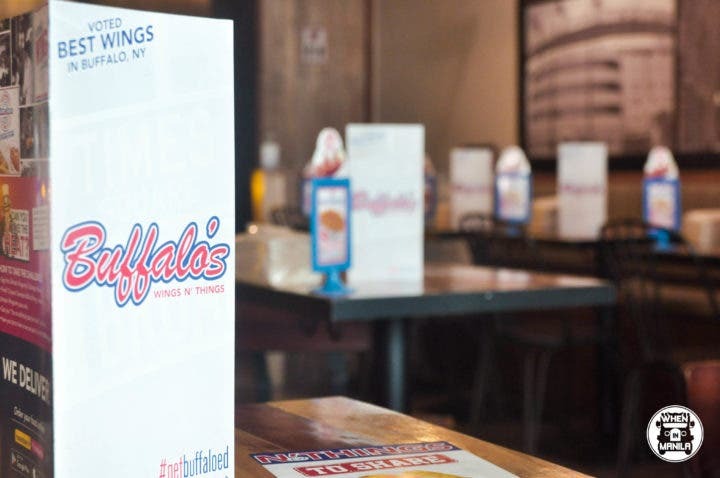 If you’re a huge fan of chicken fingers and want to take that love to the next level, celebrate National Chicken Fingers Day with Buffalo’s Wings n’ Things on January 29. Lots of games and prizes await at a branch near you! Craving for tasty chicken fingers? Buffalo’s Wings n’ Things is the place to be. Which Triple Sampler combinations are you excited to try on National Chicken Fingers Day?